There are glints of orange on the forest floor. Graceful little mushrooms, shaped like an upside-down funnel, have risen proudly above the duff. It is a patch of golden chanterelles, the treasure of many a mushroom-hunter! They have stout, smooth stalks ribbed with fleshy ridges that run out underneath the umbrella of the cap. 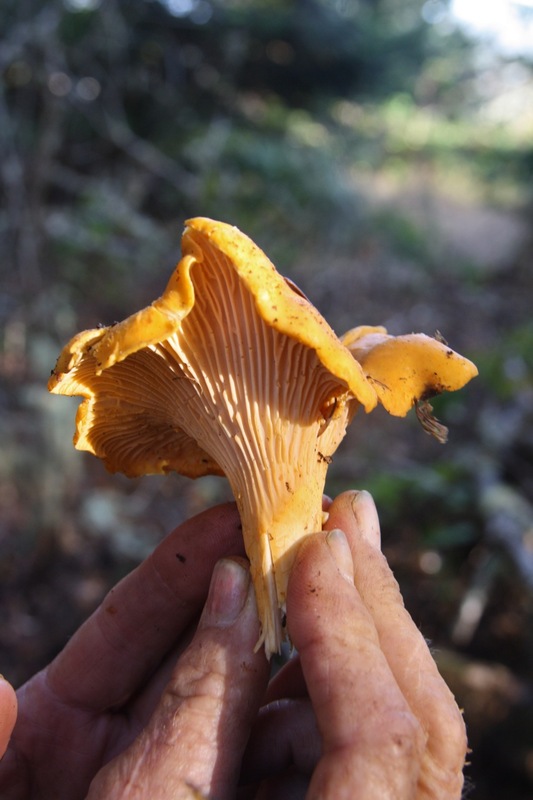 There are several species of golden-yellow species of chanterelle; the one most common in the Bay Area is Cantharellus californicus but the similar looking (and tasting) Cantharellus formosus is also found in California–and others may be as well, according to the Mykoweb database. I DO NOT recommend eating chanterelles (or any other mushroom) unless you’re absolutely sure of what they are. But. It is worth finding a mentor or joining a mycology outing to learn this stuff. They have a unique, mild flavor and a meaty texture and are absolutely delicious when sautéed with olive oil and garlic. 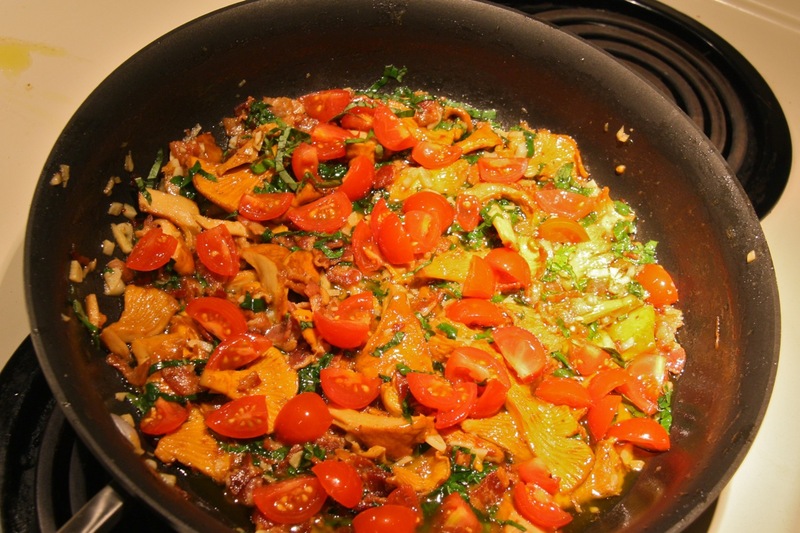 Last night we had them over pasta, sautéed with basil, sweet garden tomatoes, and bacon. It was heavenly.